As the Chief Strategy Officer, Chris Carlsen is responsible for ongoing research and evaluation of the investment markets targeted by the Company. Carlsen’s physical presence in the Midwest and knowledge of the real estate market in the Midwest will allow him to quickly make an initial assessment of the Company’s potential investment opportunities. Further, Carlsen’s experience in the real estate industry gives him the ability to assist in developing loan packages for projects as well as creating joint venture opportunities for the Company with other developers. 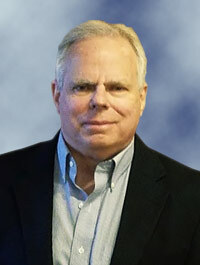 Carlsen owned and managed his own commercial real estate for over thirty years. Additionally, for twenty years he was the CEO of his family’s title insurance company as well as the managing partner of other business ventures. Carlsen has a BA from Augustana University and a JD from the University of Southern California.